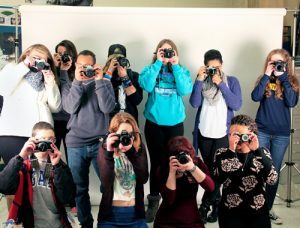 Like most clubs and extracurricular activities, Photography club fundraisers are needed to help offset costs that are usually left up to the students. Students need funds for equipment, projects, field trips, t-shirts, and museum admissions. Giving Bean is the perfect fundraiser for photography clubs. There are no startup costs, step-by-step instructions are provided, shipping is fast, and online support is always available. With the traditional paper fundraiser you will make 40% as well as 25% from online sales. Our online coffee fundraising component is unique to Giving Bean. It’s a great way to reach friends and family who don’t live nearby but still want to support your club. Freshly roasted coffee, unique artisan teas, and all natural gourmet cocoa are hard to resist because most people use them daily. There is something for everyone! This is the perfect fundraiser to do anytime of the year or even multiple times a year!